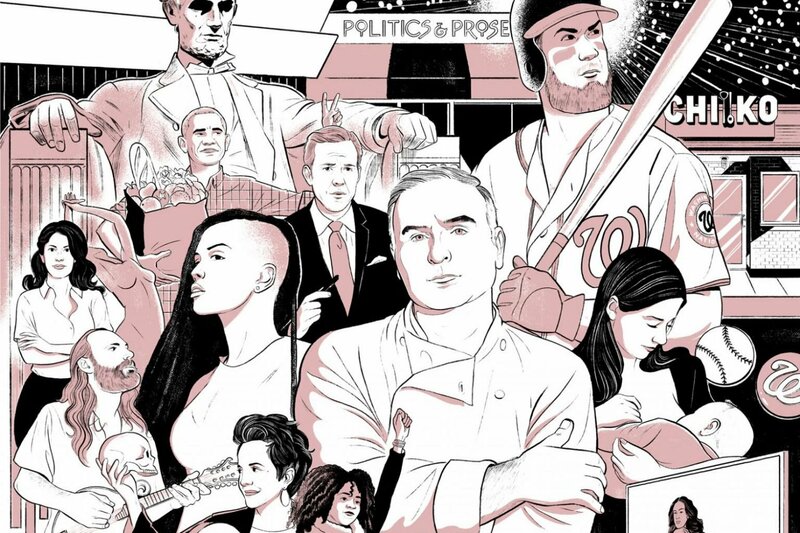 To see the rest of our Best of Washington package, including the best things to eat, buy, and know, click here. 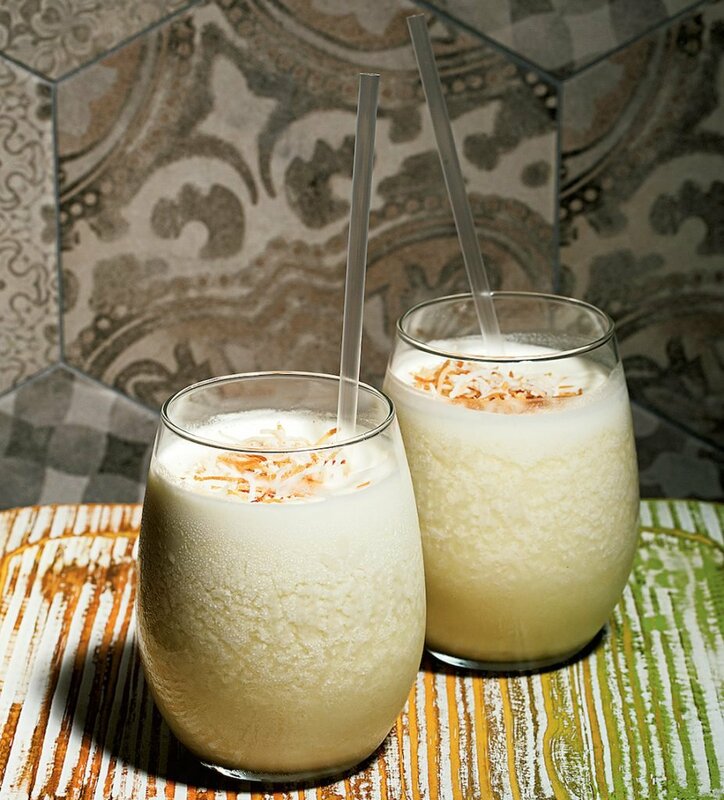 At this Cuban-accented cafe, cocktail whiz Juan Coronado roasts coconut milk, then blends it with freshly squeezed pineapple juice, coconut cream, and a healthy dose of Bacardi. The not-super-sweet result will banish any memories of too-long nights during college spring break. 1405 T St., NW; 202-332-8800. The hallmarks of a perfect mac and cheese are a gooey cream coating the crevice of every noodle and a healthy sprinkle of bread crumbs for a little crunch. 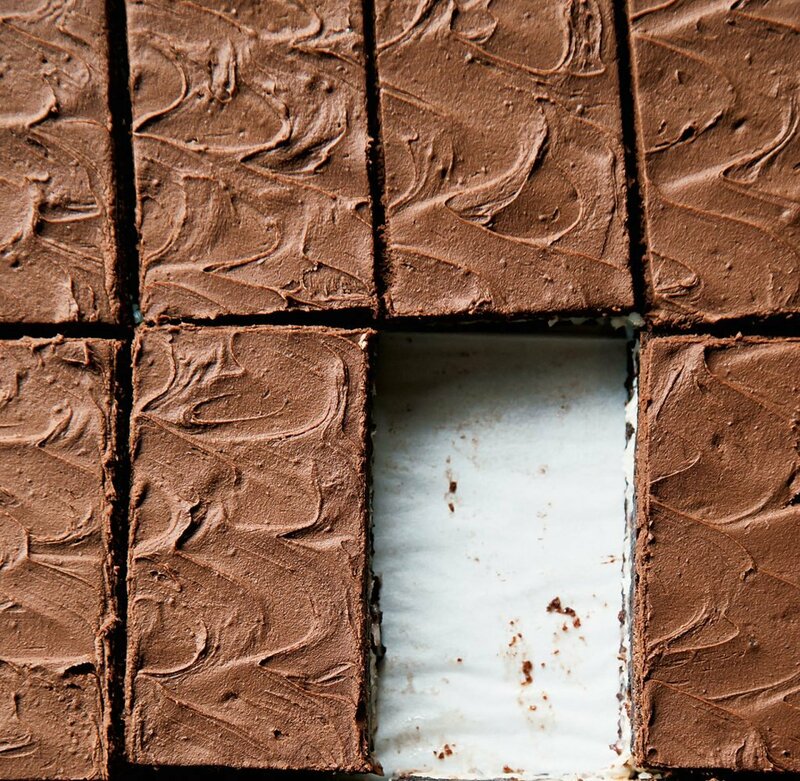 Forget extraneous ingredients like lobster or truffle oil. Green Pig Bistro knows that this homey classic is best unadulterated—smoky Gouda is as fancy as it gets. 1025 N. Fillmore St., Arlington; 703-888-1920. Fans of both spinach and crab dip don’t have to choose with this melty appetizer that combines the best of both. Bonus: a crusty house-made bread bowl. 700 Mill Creek Rd., Arnold; 410-544-5448. At first glance, it looks like any other bacon-egg-and-cheese—and indeed, its pleasures are basic. 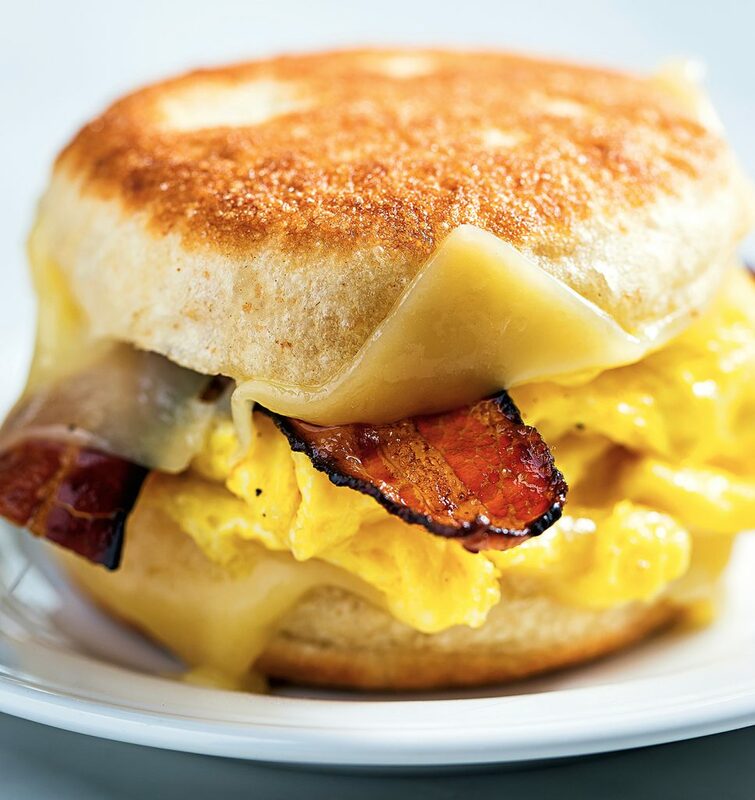 But the combo of Cabot white cheddar, perfectly scrambled eggs, and North Country Smokehouse bacon is set apart by a house-made English muffin unlike anything you could find at the supermarket. Lest you think it sounds fancy, a little Heinz and hot sauce are all it needs. 1508 Mount Vernon Ave., Alexandria; 703-436-0025. No other Washington restaurant imports Mexican corn and grinds masa for its chips, and it shows—these are ultra-fresh and flavorful. Order the pistachio-tomatillo salsa for dunking. 1250 Ninth St., NW; 202-621-9695. 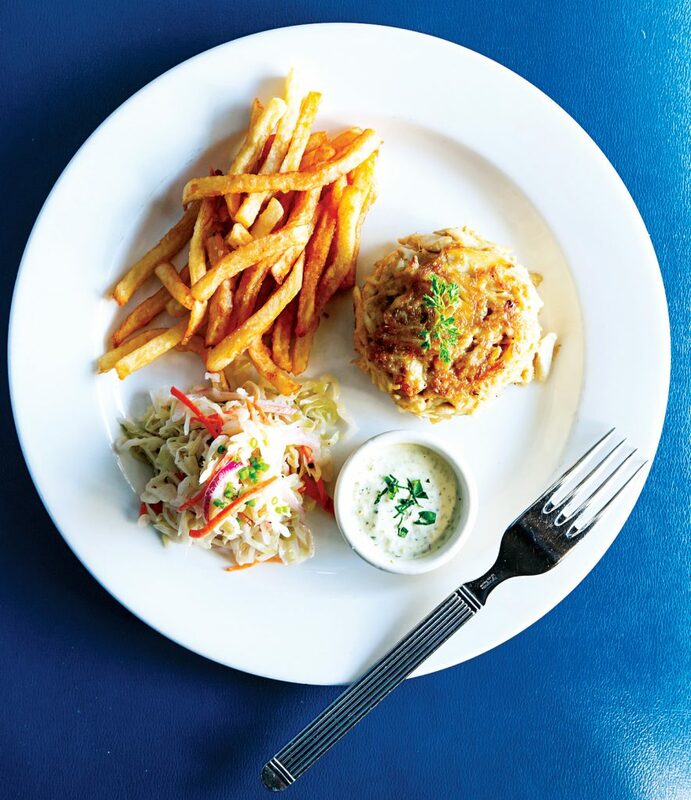 We’ve tried many cheffy crabcakes, gilded with bacon or cream sauce. Leave it to kitchen vet Ann Cashion to deliver the no-nonsense best: sweet Maryland lump (in season), bound tenderly with a touch of mustard and spice and served alongside a lush house-made tartar. No wonder it hasn’t left her menu in nearly two decades. 1819 Columbia Rd., NW; 202-506-5257. Chefs are messing with po’ boys left and right these days, but this Union Market oyster bar keeps it pretty traditional for its lunchtime special. The bun has just the right pillowy texture, the Barcat oysters are gorgeously fried, and the only clue you might not be in New Orleans is that the whole thing is topped with jalapeño-cabbage slaw. On the side: translucent chips. They’re some of the city’s best, too. 1309 Fifth St., NE; 202-544-4702. 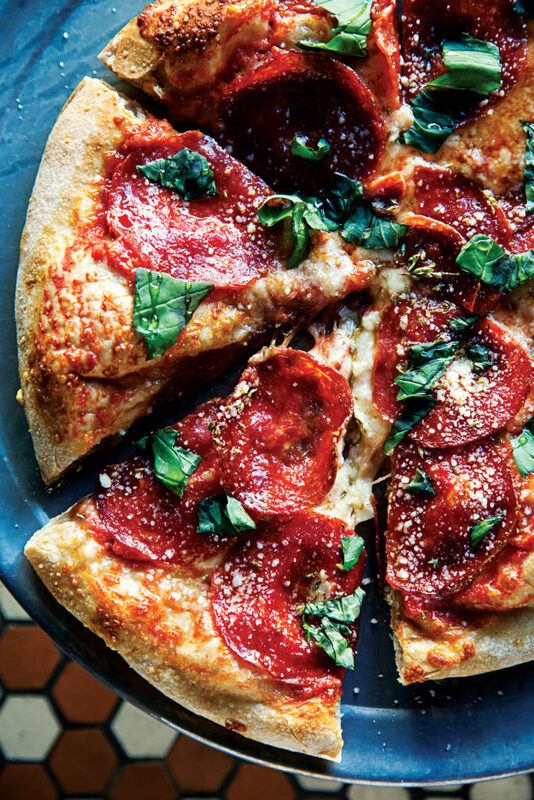 One of the only fixtures on this Shaw pizzeria’s menu is the Buona, a pie blanketed with mozzarella, crisp-edged pepperoni, and shavings of Parmesan-like grana padano. Its crust is a standout—sturdy and slightly sweet, made from dough that ferments for three days. Finishing it off: a drizzle of chili-spiked honey. 1250 Ninth St., NW; 202-849-6174. Leave it to Andrés to elevate the humble hushpuppy. In-season corn bolsters the sweetness of the cornmeal balls, which you slather with honey butter and briny trout roe. The flavor perfectly evokes boardwalk and beach. 101 MGM National Ave., Oxon Hill; 301-971-6050. The Harvest Bowl—kale, wild rice, apples, sweet potatoes, goat cheese, and toasted almonds with balsamic vinaigrette. We swap out the chicken for a seasonal veggie such as roasted asparagus. Multiple area locations; sweetgreen.com. 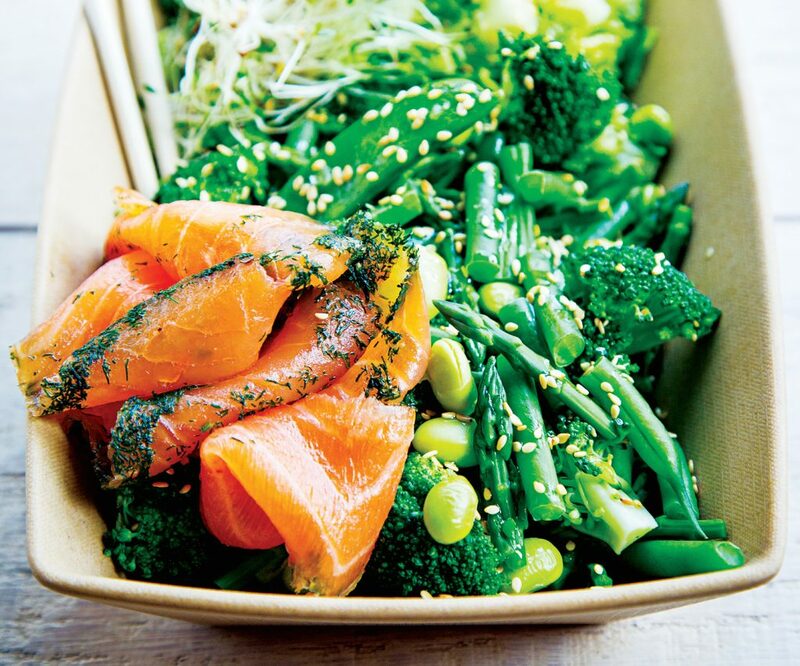 The Eden—sugar-snap peas, edamame, green beans, and other veggies drizzled with garlic yogurt and lemon-honey dressing on a bed of quinoa—with an add-on of cured salmon. DC and Bethesda; beefsteakveggies.com. A brown-rice-and-supergreens bowl with lamb meatballs, hummus, feta spread, eggplant-pepper spread, banana peppers, pickled onions, kalamata olives, tomato-cucumber salad, slaw, mint, and yogurt dressing. Multiple area locations; cava.com. The tikka masala bowl with barbecue chicken, white rice, and a side of naan and yellow dal(a lentil stew). Fairfax; choolaah.com. DC’s only happy hour to draw lines is this 11-seat luxe sushi counter, where all of the jewel-like nigiri and rolls and most drinks—including high-end sakes—are half off Monday through Friday, 5:30 to 7. 1503 17th St., NW; 202-462-8999. 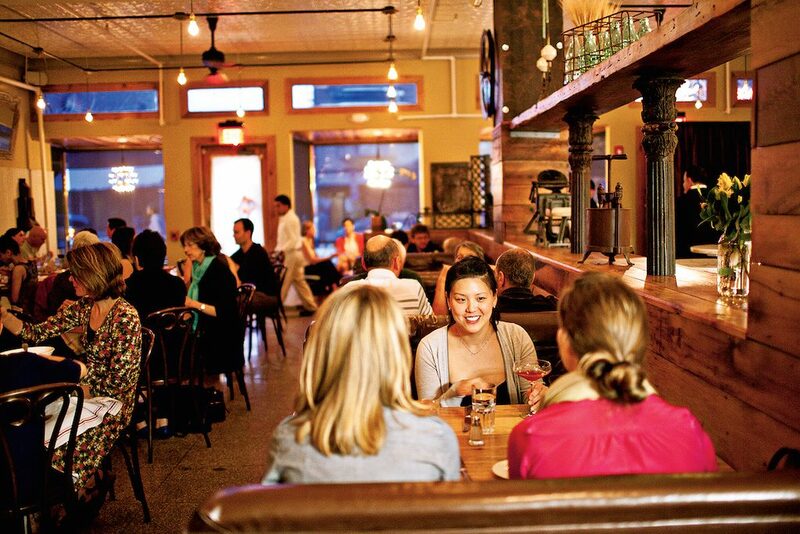 Both locations pack in crowds that eat and drink like fish, with specials such as $8 martinis and $5 ceviches, crab sliders, and fried oysters—offered evening and late night. 7187 Woodmont Ave., Bethesda, 301-358-6116; 11960 Democracy Dr., Reston, 703-230-3474. If you want a full dinner at a discount, head to this Adams Morgan bistro where its craveable classics—tagliatelle Bolognese, a 28-day dry-aged cheeseburger—are part of happy hour alongside wines by the glass. 1813 Columbia Rd., NW; 202-234-6732. The best restaurant selection and most reliable delivery—so you can get those Momofuku CCDC ginger-scallion noodles to your couch in about 40 minutes or less. trycaviar.com. Sparkly “unicorn food” is everywhere. (Thanks, internet.) At this doughnut/ice-cream-sandwich stall in the Block, a new food hall, Technicolor treats aren’t just Instagram art—they’re delicious. 4221 John Marr Dr., Annandale; 703-942-6285. 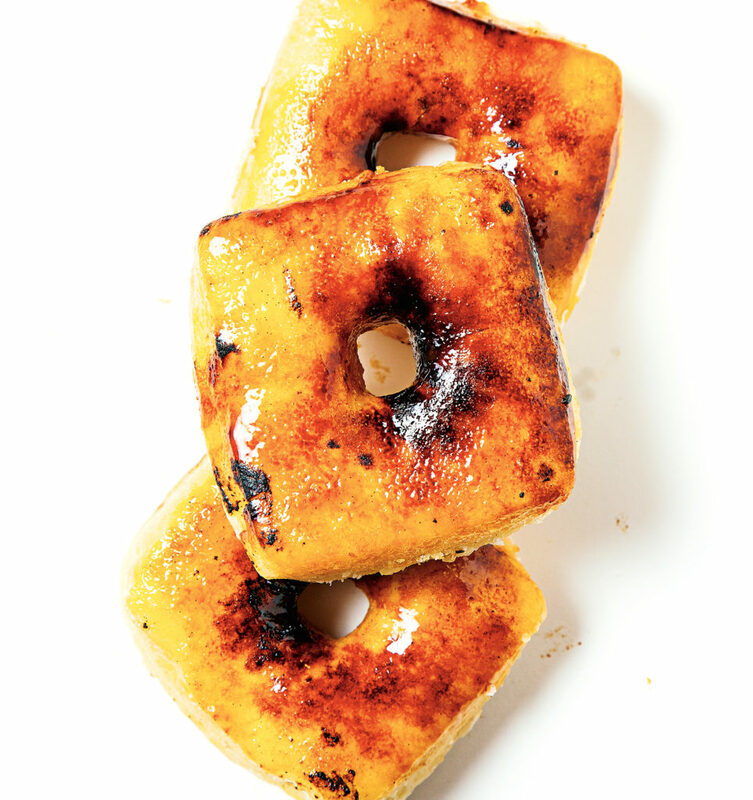 We’re as enamored with this laid-back spot’s arepa breakfast sandwiches as we are with the nighttime cocktails and grilled small plates. 501 Florida Ave., NW; 202-332-7777. The menu at this atelier-like restaurant inside Sushiko can vary from vegan to luxe nigiri and sashimi. Either way, it’s among the hottest dining tickets in town. 5455 Wisconsin Ave., Chevy Chase; 301-961-1644. 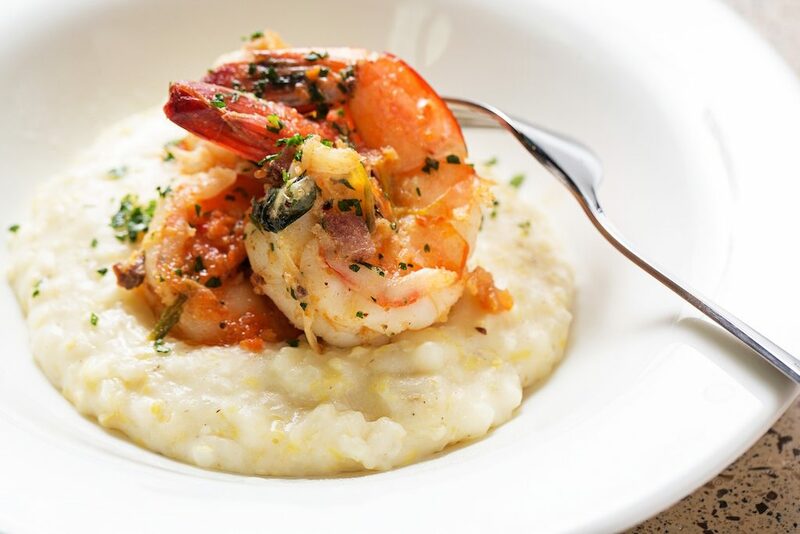 Though you’ll need a ticket to the National Museum of African American History & Culture, once you’re in, you’ll find this cafeteria’s food as deliciously rich and complex as the history behind it. 1400 Constitution Ave., NW; 202-633-6174. Some distillery bars feel like an extra stop on the facility tour, but this rum maker has turned an industrial shell into a made-for-Instagram alcove, with a list of complex and bitter-leaning cocktails that will make you look at rum in a new way. 1330 Fifth St., NE; 202-544-2805. Cocktails—and their names—have gotten more creative, but no one mixes it up like Hank’s family of bars. At Hank’s on the Hill, for example, a concoction of Edinburgh gin, Aperol, grapefruit, mint, and soda is dubbed An Italian Gentleman Riding His Bike Through the Piazza With His Pant Leg Rolled Slightly Above His Ankle. At Hank’s Oyster Bar off Dupont Circle, a mix of blackberry, lemon, truffle honey, and Glenmorangie Nectar d’Or is yours if you order Everyday I’m Trufflin’. Why? “The more memorable a cocktail name, the better,” says Hank’s on the Hill bar manager Dave Lanzalone. While a liquid tasting menu will set you back at least $79 inside Columbia Room, its herb-laden “punch garden” features equally clever concoctions à la carte, enjoyed amid a breezier setting. Menus change with the season, but spring cocktails mimicked the flavors of different wines with surprising ingredients such as cherry cider and fermented Chinese tea. 124 Blagden Alley, NW; 202-316-9396. 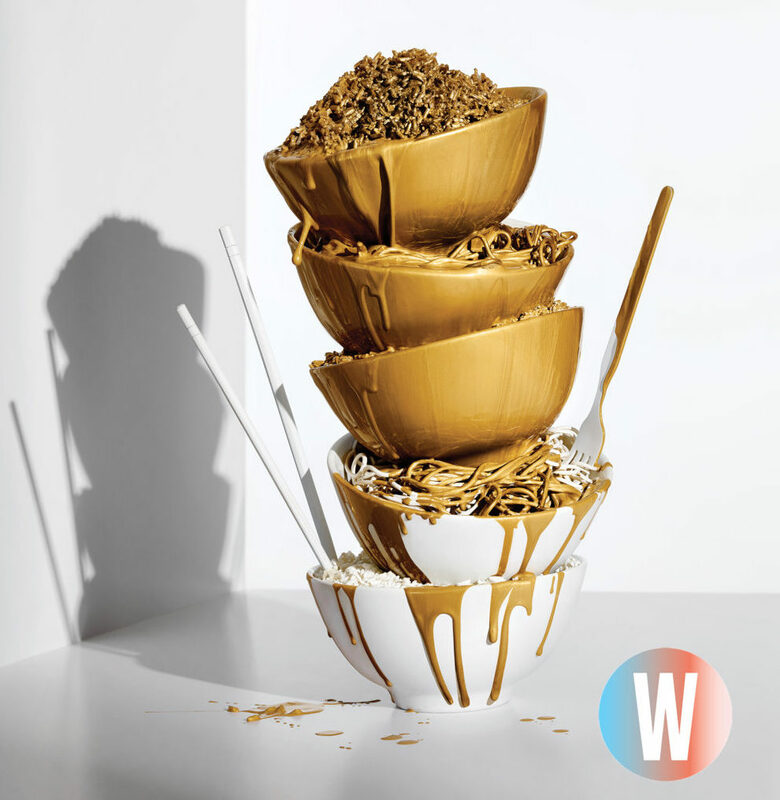 Photo courtesy of Baked & Wired. 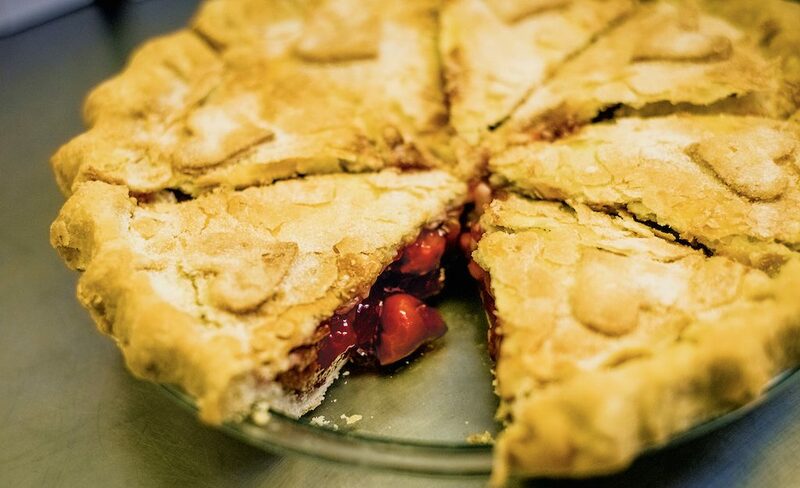 Cherry pie at Baked & Wired, 1052 Thomas Jefferson St., NW; 202-333-2500. Brown-butter toasted-coconut pie at Livin’ the Pie Life, 2166 N. Glebe Rd., Arlington; 571-431-7727. Mile-High Chocolate Cream Pie at Ted’s Bulletin, 14th St., 202-265-8337; Capitol Hill, 202-544-8337; Merrifield, 571-830-6680; Reston, 703-956-9510; Gaithersburg; 301-990-0600. Fruit tart at Fresh Baguette, 4919 Bethesda Ave., Bethesda; 301-656-0000. Coconut-macaroon brownie at Junction Bakery & Bistro, 1508 Mount Vernon Ave., Alexandria; 703-436-0025. Chocolate-chip cookie at Little Red Fox, 5035 Connecticut Ave., NW; 202-248-6346.Happy Camper at Buttercream Bakeshop, 1250 Ninth St., NW; 202-735-0102. Italian tea cookies at Cornucopia, 8102 Norfolk Ave., Bethesda; 301-652-1625. Linzer cookie at the Swiss Bakery & Pastry Shop, 5224 Port Royal Rd., Springfield; 703-321-3670. Macarons at Ladurée, 3060 M St., NW; 202-737-0492. Photo by Tout De Sweet pastry shop. 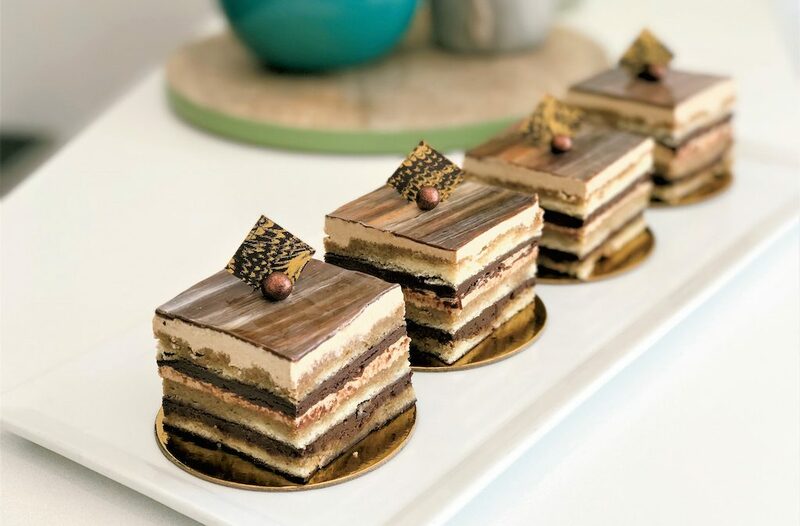 Opera cake at Tout de Sweet Pastry Shop, 7831 Woodmont Ave., Bethesda; 301-951-0474. Circus cake (marbled cake with pink buttercream) at Society Fair, 277 S. Washington St., Alexandria; 703-683-3247. Rhubarb & Lemon Stack at RareSweets, 963 Palmer Alley, NW; 202-499-0077. White-chocolate-mousse cake at Pastries by Randolph, 4500 Lee Hwy., Arlington; 703-243-0070. Walnut dacquoise at Praline Bakery, 4611 Sangamore Rd., Bethesda; 301-229-8180. Crème brûlée doughnut at Astro Doughnuts & Fried Chicken, 1308 G St., NW, 202-809-5565; 7511 Leesburg Pike, Falls Church, 703-356-0800; food truck. Apple strudel at Heidelberg Pastry Shoppe, 2150 N. Culpeper St., Arlington; 703-527-8394. Guava pastelito at Colada Shop, 1405 T St., NW, 202-332-8800; 21430 Epicerie Plaza, Sterling, 703-429-1362. Milk-chocolate-glazed doughnut at District Doughnut, 749 Eighth St., SE; 3327 Cady’s Alley, NW; 202-750-1955. Pistachio-raspberry croissant at Lavande Patisserie, 275 N. Washington St., Rockville; 301-424-6100. 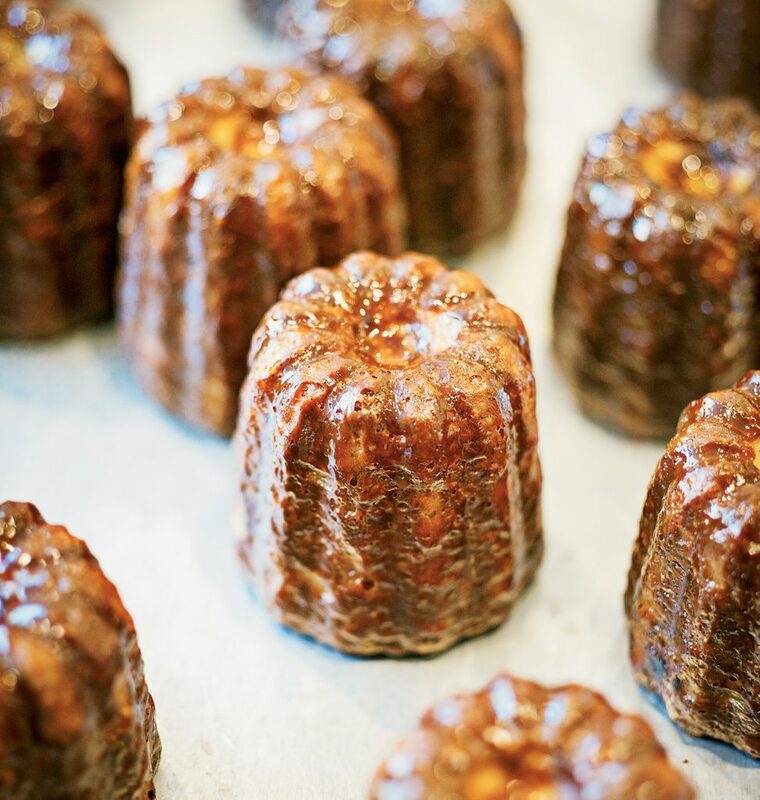 Canelé at Bread Furst, 4434 Connecticut Ave., NW; 202-966-1300. Cream puff at Un Je Ne Sais Quoi, 1361 Connecticut Ave., NW; 202-721-0099. Napoleon at Petit Loulou Creperie & Bar à Vins, 713 E. Main St., Purcellville; 540-441-3135. Profiterole at Le Diplomate, 1601 14th St., NW; 202-332-3333.